Go to Settings and then Device > Apps. Tap the ‘ALL’ tab, scroll down to ‘Google Services Framework’ and open it. 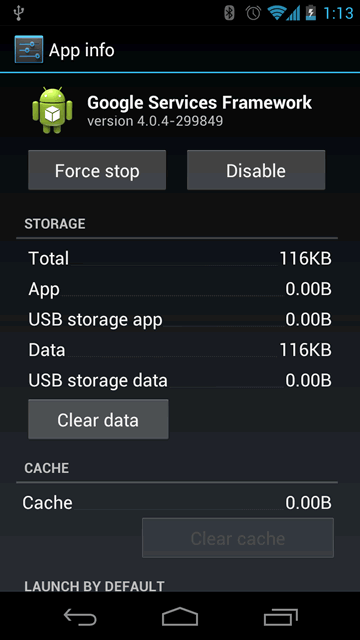 Now hit the ‘Clear data’ button. Go back to the main Settings page and this time go to System > About phone and then ‘System updates’. You’ll probably see a weird date along the lines of 1970, this is normal. Hit the ‘Check now’ button. If you are told that the 4.0.4 update is available hit download and then install, else repeat the process from bullet number 1. So here it is, again note that it’s unpredictable on which attempt you will get the software update so a bit of patience is needed. 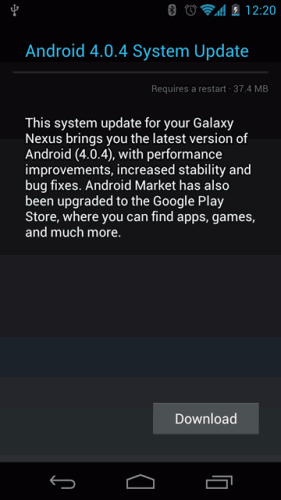 We’ve got the update on two different Galaxy Nexus devices after 4-6 tries. Let us know of your experience in the comments below and be sure to read our full review of the Galaxy Nexus here. Galaxy Nexus case review: Case-Mate POP! 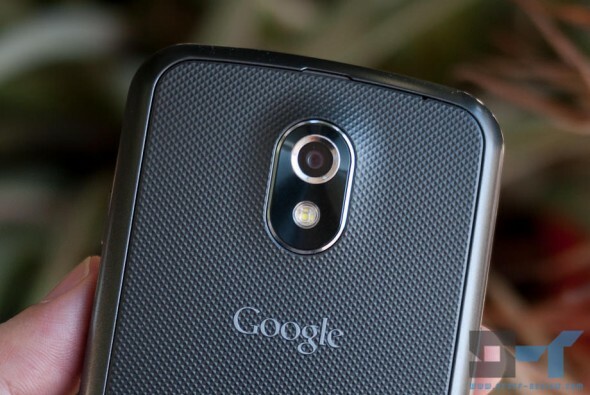 Random reboots continue to plague the Galaxy Nexus, how about yours?